With an emphasis on interior refinement, proven versatility, and state-of-the-art tech features — it’s no surprise that luxury shoppers are increasingly choosing a premium compact crossover or luxury SUV over their sedan counterparts. Due to their compact footprint, these crossovers and SUVs offer precision handling and surprisingly-spacious interiors to accommodate all of life’s essentials. Whether you’re headed downtown for dinner and a movie or across state lines for a weekend getaway — there’s a compact luxury crossover or SUV that’s perfectly suited to your lifestyle. 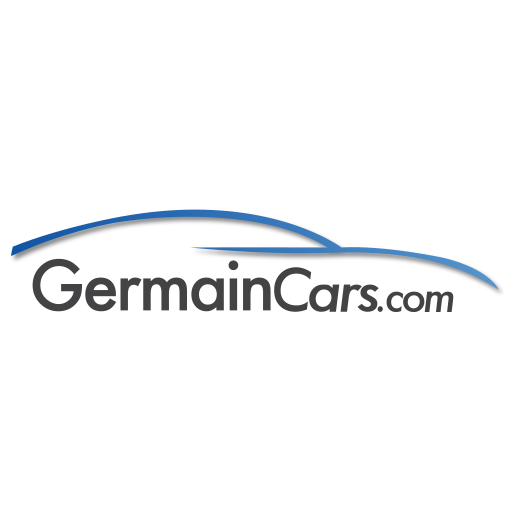 Check out the Germain Motor Company’s top picks in the compact luxury crossover and SUV segment. The perfect solution to navigating city streets, the Audi Q3 impresses with dynamic styling, agile performance, and driver-centric technologies. 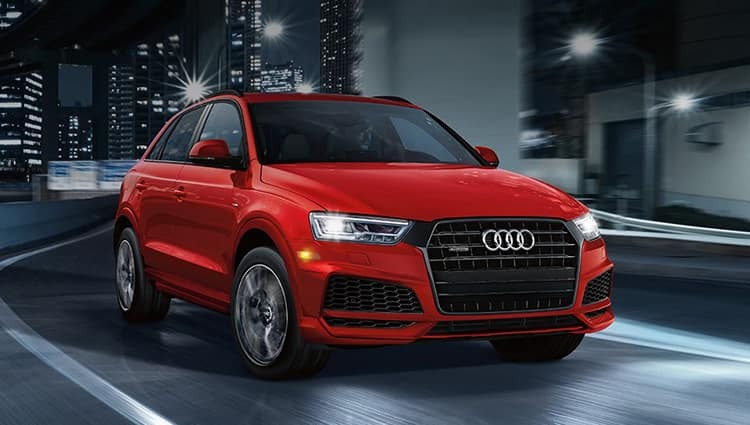 Available with iconic quattro® all-wheel drive and a turbocharged 200-horsepower 2.0-liter TFSI® engine — the Q3 delivers inspired power that doesn’t sacrifice on efficiency. The optional MMI® navigation plus system provides available Audi connect®, enabling Google Earth™ with 3D satellite imagery, and a Wi-Fi hotspot for up to eight passenger devices. 12-way heated leather front seats provide the perfect combination of comfort and support on extended journeys. Other impressive interior features available on the Q3 are ambient interior lighting, a panoramic sunroof, and a 60/40 split folding rear seat. No matter where you’re headed, you can count on making a memorable first impression with the Audi Q3. 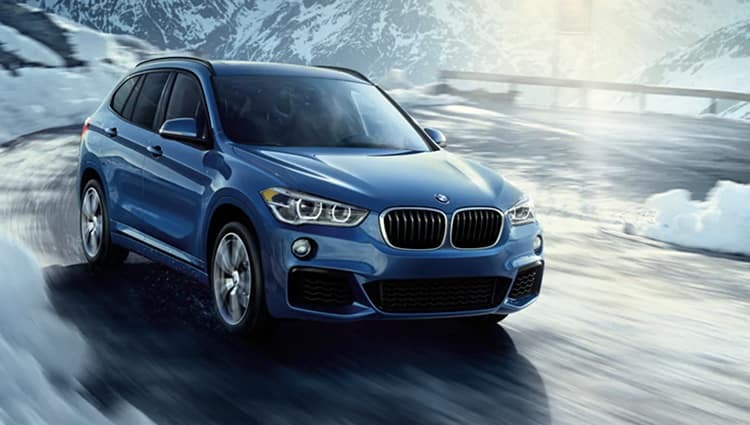 No matter if you’re headed out the door for a quick joyride through the city or across the country for an extended road trip — the BMW X1 will expand your possibilities with the press of a pedal. Standard power comes from a 2.0-liter BMW TwinPower Turbo inline 4-cylinder engine paired with available xDrive all-wheel drive for surefootedness across even the worst road surface conditions. Despite its compact platform, the X1 features spacious headroom and available Sliding and Reclining rear seats for expanded versatility. Key tech features available on the X1 include a Head-Up Display, Apple CarPlay® smartphone integration, Rear View Camera and Park Distance Control, and an 8.8-inch Central Information Display. Standard BMW Navigation ensures that you’ll always arrive at your destination safely and on-time with the BMW X1. 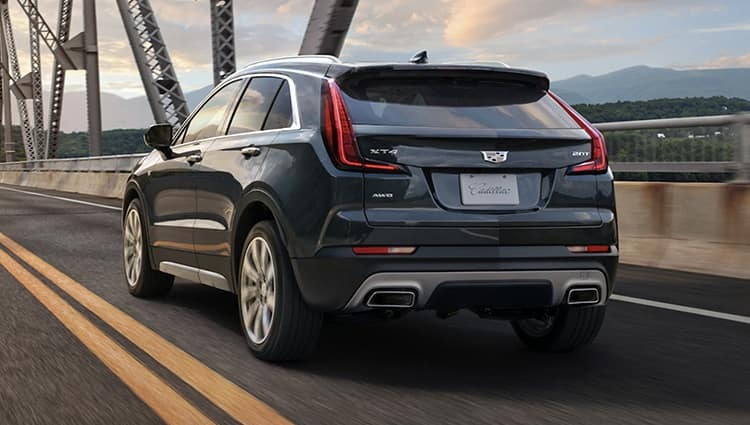 Offering the commanding exterior presence of an SUV combined with athletic performance and agility, the Cadillac XT4 is not your ordinary crossover. Experience 237 horsepower and 258 lb-ft of torque from its standard 2.0-liter turbocharged engine that’s paired with a 9-speed transmission and available twin-clutch AWD. Striking design elements found on XT4 Sport models include a gloss-black mesh grille framed by Galvano accents and gloss-black roof rails. Its inviting interior offers hand-selected materials along with a new Cadillac cut-and-sewn process that spirals the stitching down the armrests on the doors. Available Wireless Charging and a Cadillac 4G LTE built-in Wi-Fi hotspot lets you charge up quickly and stream your favorite entertainment. 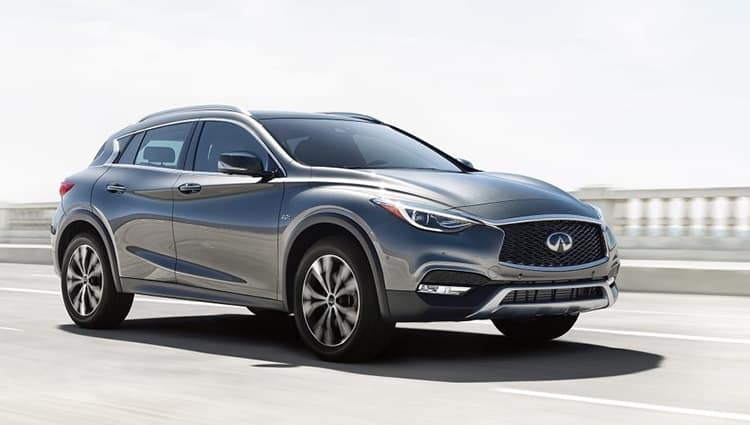 A purposeful design paired with an impressive 208-horsepower 2.0-liter I4 engine help illustrate why the Infiniti QX30 remains a favorite among compact luxury crossover buyers. The QX30 displays signature Infiniti DNA in every curve of it’s striking exterior design with deep dramatic creases and dynamic LED lighting. Inside the cabin of the QX30, you’ll discover a premium atmosphere with luxurious accents including a Dinamica® headliner and available genuine Nappa leather seating surfaces. In addition to the incredible refinement of the interior, there’s also a massive 34 cubic feet of cargo capacity which gives you plenty of room when packing for a weekend getaway. Cutting-edge driver-assistive technologies available on the Infiniti QX30 include the Around View® Monitor with Moving Object Detection, Lane Departure Warning System, and Intelligent Cruise Control. If you’re searching for a dynamic yet agile SUV, the Jaguar E-PACE impresses with its sculpted hood and muscular rear haunches. 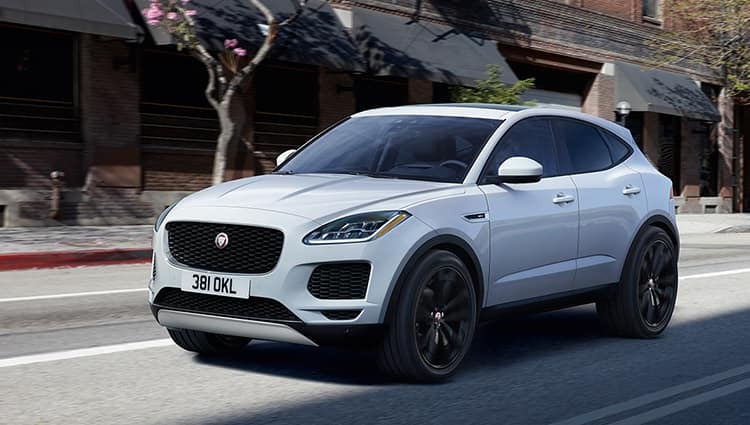 As the first compact SUV from Jaguar, the E-PACE stands out for its enhanced driving dynamics and refinement from a range of available Ingenium engines and standard all-wheel drive. JaguarDrive Control allows you to select Comfort, Eco, Dynamic or Rain / Ice / Snow to adapt to a variety of weather conditions. In addition to a massive 57.2 cubic feet of cargo capacity, the interior of the E-PACE features deep front door pockets which have been sculped to accommodate a range of items including phones, cans, and a 1.5-liter bottle of water. The 10-inch Touch Pro screen at the heart of the center console supports swipe and pinch gestures and delivers rich audiovisual entertainment. 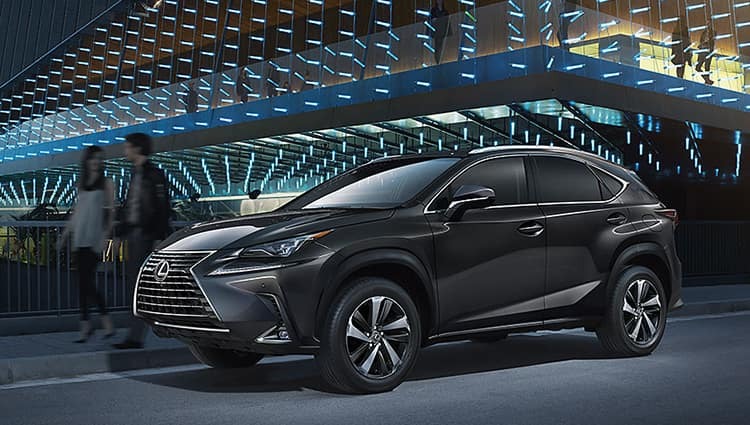 Chiseled character lines, a dramatically styled front fascia, and a road-hugging stance help you make a memorable first impression with the Lexus NX. Experience exhilarating performance from NX F SPORT models or unparalleled fuel economy from the NXh. Peace of mind comes standard with the NX thanks to the Lexus Safety System+, an integrated suite of class-leading standard active safety equipment. An available 10.3-inch high-resolution split-screen multimedia display is your centralized hub for Lexus Enform Dynamic Navigation, perfect for finding a new restaurant or theater to visit. The optional eight-speaker Lexus Premium Sound System allows you to hear your favorite songs with outstanding clarity and depth. Offering a sporting soul and a compact footprint, the Mercedes-Benz GLA offers turbocharged engine power which makes it both adventurous and adaptable. 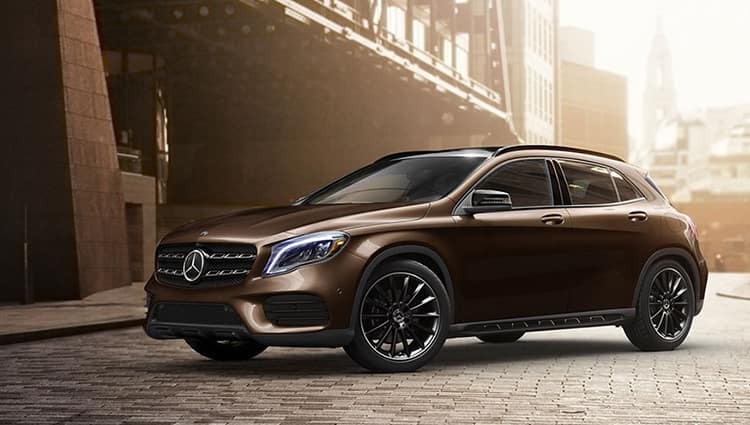 Taut, trim, and muscular — the GLA stands out with an eye-catching front grille and elegant LED taillamps. The standard power liftgate opens with the swipe of your foot beneath the rear bumper thanks to available HANDS-FREE ACCESS. Quench your thirst for performance with a potent 208-horsepower turbocharged 2.0-liter engine and a 7G-DCT transmission. From Bluetooth® audio streaming to available Apple CarPlay™ and Android Auto, an available 8-inch color display makes it simple to access your favorite media. Engineered for drivers who never make compromises, the Porsche Macan combines sportiness, design, and everyday practicality. Experience race-inspired performance from its standard 2.0-liter turbocharged 4-cylinder engine which delivers 248 horsepower. Standard all-wheel drive and a 7-speed Porsche Doppelkupplung (PDK) transmission provide an exciting combination of response and poise across all types of weather conditions. A new 10.9-inch touchscreen display in Porsche Communication Management (PCM) boasts full-HD resolution and a personalized start screen. Premium genuine leather sport seats provide superior support while cornering. 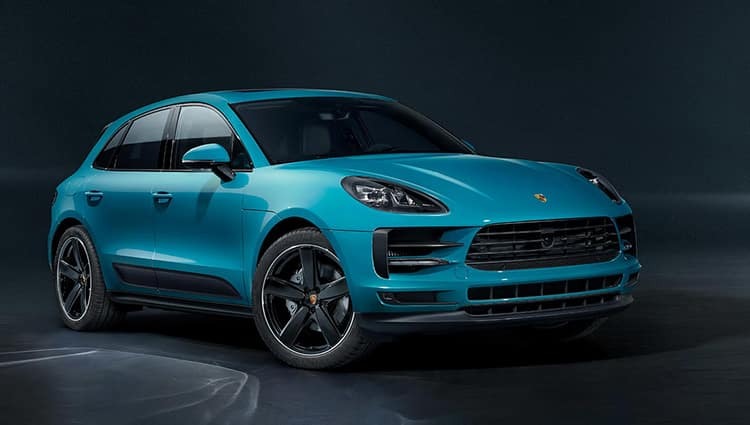 Driving a Macan means that you’ll experience sports-car exhilaration in the form of a compact SUV. Constructed with an emphasis on minimalism and reduction, the Range Rover Evoque redefines the meaning of driving a premium compact crossover. 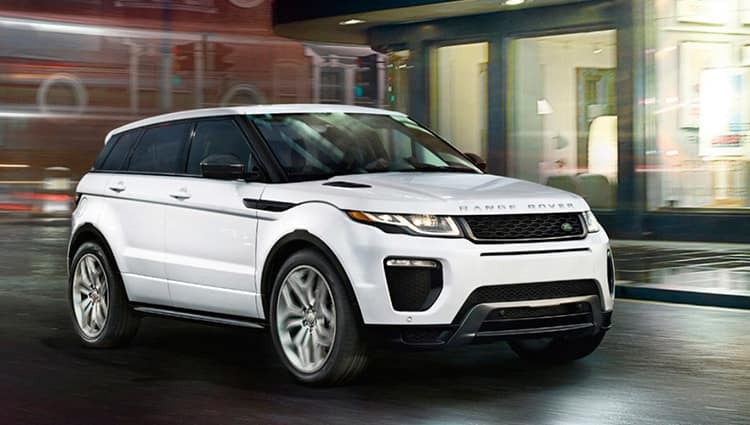 Characterized by its sloping roofline and rising beltline, the Evoque captures the attention of onlookers with its seductive styling. A testament to the legendary capabilities of Range Rover vehicles, the Evoque includes standard All-Terrain Progress Control (ATPC) for confidence in challenging conditions. Impressive standard features on the Evoque include 12-way grained leather seats, InControl® Touch™ with an 8-inch touchscreen, and projected puddle lights. You can personalize the interior with premium touches like twin-needle stitched leather, aluminum accents, or wood veneer finishes.